Businesses require merchant accounts in order to accept credit and debit card payments from their customers. A merchant account is a type of financial account that allows funds to be transferred from card issuing banks to a merchants business bank account. Whether a business sells designer shoes or downloads of digital music singles, merchants are going to need merchant account services. Any business that wants to accept credit or debit card payments from customers must have a valid, secure merchant account. This type of financial account, which allows money to be transferred from card issuing banks to merchants’ business bank accounts, is a must-have for businesses that work exclusively online. Banks, merchant account providers, and credit card processors offer merchant account services, which allows businesses to accept credit and debit cards, contactless payments, and online transactions. Without these accounts, merchants cannot accept Visa, MasterCard, American Express, or other bank cards as payment. Though it seems simple enough to apply to a bank for an account, there is a major problem. That is that a business can have a processing record and still get turned down due to the nature of their businesses and a number of other reasons. There are a host of businesses that banks consider high-risk. Businesses that handle mostly online transactions, have a history of high-chargebacks, irregular high-ticket sales, unusually large volumes of transactions, and highly regulated industries, such as cigarette businesses, run into problems when they seek merchant account services because they are considered too risky. Businesses owned by people with poor or low credit scores and those that are based offshore also fall into the high-risk category. So, when a merchant with any of these strikes against them apply for merchant account services, a bank turns them away. Merchants that want to safely and responsibly process credit card payments must turn to a credit card processor, like eMerchantBroker.com (EMB) for merchant account services. Retail, mail order/telephone order (MOTO), internet, and accounts for high risk-businesses are just some of the merchant account services offered by EMB. In addition to offering dependable, affordable, and secure credit card processing, EMB offers ACH processing, secure payment gateways, integrated fraud protection and chargeback mitigation programs. EMB knows that the credit processing industry is confusing and overwhelming. The staff at EMB tries to take the guesswork out of obtaining high risk merchant account services by providing up-to-date information about obtaining and managing accounts, as well as ways to succeed when accepting debit and credit card payments. Begin by filling out EMB’s quick and easy online application. There are no guarantees, but EMB promises an open and honest application process. High risk merchant accounts can be approved in as little as 24 hours. EMB specializes in providing merchant account services for old and new businesses of all sizes, including high-risk merchants. Merchants that don’t see their products or services listed here should fill out an application to begin accepting credit card payments. In addition, we work with high-ticket and high-volume businesses, as well as those with bad credit and those on the MATCH or TMF list. Created and managed by MasterCard, MATCH is a blacklist that prevent merchants with excessive chargebacks and high-risk accounts from opening an account with another credit card processor. The list, which is used and shared by all credit card companies, is a database of information about business, their owners, and the reasons and/or codes for why they were placed on a TMF. The goal of the database is to prevent other processors from granting merchant accounts to businesses that are bad risks for sponsor banks and processors. Acquiring banks can add or remove businesses from the database when they deem it is necessary. Banks may seem like the best place to apply for a merchant account. That’s not the case if you are a high-risk merchant. Before a merchant can apply to a bank, it must obtain a business license. Most often, businesses that are deemed “high risk” by banks will be denied and instead be referred to an acquiring partner. Merchants that follow through with the referral will essentially be working with a third party. Therefore, the relationship with the bank doesn’t matter. Businesses that pursue this route likely will end up entering into an agreement that comes with a set price for payment processing, hardware, and software. Though the package is being sold as a bundle, each item is being provided by different companies. This not only muddies the waters, it likely will require more time and effort to get all areas working seamlessly, and the overall costs will be more expensive. Also, it is important to ensure the third party permits all major credit card brands. If all cards are permitted, merchants may need to apply directly to each credit card brand. Also, merchants must ensure that processors are certified as PCI compliant. Merchants discovered to not be PCI compliant face hefty fees and fines. Finally, you need to get all the different pieces certified as PCI compliant. 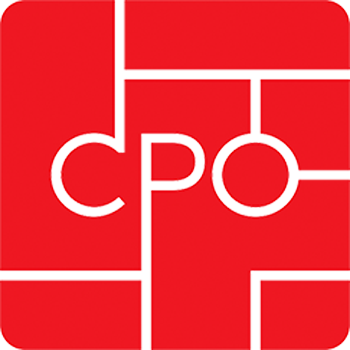 If you’re ever found not to be PCI compliant, you could be subject to heavy fees and fines. For an average merchant, what are the monthly fees? How long are deposits held? What are some of the other fees charged? Are there gateway, authorization, chargeback, return, batch early termination, and point-of-sale software fees and what are they? Typically, what do those fees add up to each month? What are your customer service practices? How long does it take to get a representative to reply to questions and problems? What is the cost of buying out contracts? EMB prides itself on making the high risk merchant account process simple. After filling out EMB’s quick online application, merchants need to provide some standard paperwork to underwriters and processors for review. EMB can’t make any guarantees, but, it does promise a fair process. Get started by applying today. Eligible merchants can get approved in 24 to 48 hours. When underwriters review applications for merchant account services, they want to find that businesses follow a solid business model. 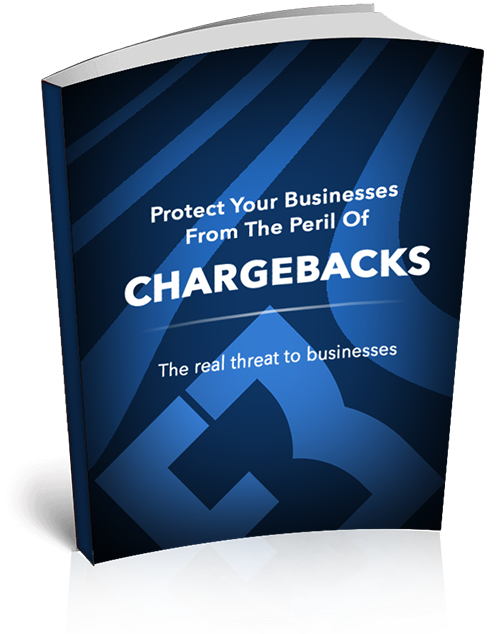 A business with a good foundation reduces the likelihood of potential chargebacks. A chargeback is when a credit-card brand, such as Visa or MasterCard, demands a retailer refund any money due to disputed or fraudulent or disputed transactions. Underwriters also check to ensure merchants are complying with any necessary rules and regulations. When reviewed, underwriters want to confirm that merchants have no negative bank account balances, outstanding bills, or previously terminated merchant accounts. A history of high chargeback ratios also increases a merchant’s risk, which increases the chances that a processor and its sponsor bank will be left paying for a merchant’s unpaid debts. During the review of their websites, underwriters want to see that they have secure (SSLs), as well as clear, prominently-displayed privacy and refund policies. Merchants that satisfy all debts, and, instead, have some savings are in better shape than merchants that don’t. Most importantly, merchant accounts are more likely to get approved when the business stakeholder with the best credit history submits the application. Additionally, businesses that process a greater number of transactions should provide merchant account providers with the most accurate estimates for transaction volumes during the application process. If a merchant account is approved, knowing the chances for higher volumes may prevent processors from becoming suspicious of transaction activity and quickly suspending or shutting down merchant accounts without notice. With a little preparation, businesses are more likely to get approved for merchant accounts without restrictions, such as caps on processing volumes and higher rolling reserves. It is not rare for new and high-risk businesses to get approved for merchant account services with monthly caps on credit card processing volumes. This means merchants are limited as to the number of credit card transactions they can accept each month. Once a merchant reaches that cap that month, merchants must stop accepting credit and debit cards for payments. This shuts down e-commerce businesses until the next month. Merchants that can prove they can operate with low chargeback ratios and no unpaid bills can get their caps lifted in as few as three months. Excessive chargebacks is a primary reason why merchants get denied accounts, lose accounts, or lose their businesses. 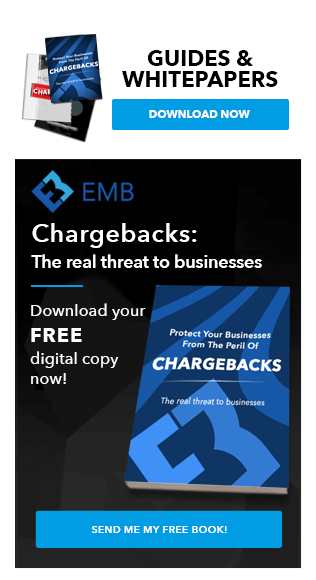 Since chargeback levels above 2% are enough for a processor to terminate a merchant account, businesses must do what they can to prevent them. There are several simples steps you can take to prevent incidents of chargeback disputes. Encourage customers to channel their complaints to merchants instead of contacting the issuing bank to request a chargeback. The best way to do this is to provide customers with all possible contact information and top-notch customer service. Also, merchants must make sure they have clear return and shipping policies and that customers understand them before they complete their purchases. In addition to verifying a customer’s billing address and security code at time of purchase, make requesting the name of the issuing bank a purchasing policy. Merchants will know something is not right if a customer doesn’t want to provide this information. It is always important to send confirmation emails following a purchase. Ideally, these emails should be automated and contain invoices. If the purchase is a product, another confirmation email should be sent with shipping and tracking information. Also, many online merchants use a different name for billing purposes than they do for promotional purposes. This is especially true in industries, such as adult entertainment, when merchants want to be as discreet as possible. Since this can lead to chargebacks because consumers don’t recognize the name on their credit card statements, businesses should ensure that customers know how the transaction will appear on bills. Merchants should use their names and clear billing descriptions on bills. Finally, it is a good rule of them to be extra cautious when a customer provides a shipping address that is different from a billing address. Merchant account services include payment processing for different kinds of businesses including retail, MOTO or mail order/telephone order, Internet, and high risk businesses among others. Without a merchant account, a business owner would not be able to accept Visa, MasterCard, American Express or any other popular card type. The payment processing industry is an extremely complicated, convoluted industry. Many companies provide the same services, and in some cases are both competition and partners. There are a lot of middlemen and resellers in the market place that tend to make things very confusing for the average merchant. EMB is 100% committed to providing your merchant services, and offers Payment Gateway Solutions, Instant Check Processing, Business Funding, and much, much more. Our online Application takes only minutes to complete. After we receive your executed agreement and all supporting documents have been provided we’ll have an answer within 2-3 business days. How do I determine if I’m a Domestic or International Merchant? If you are domiciled or have a U.S. Social Security number then you’re considered a Domestic Merchant, otherwise you’re an International Merchant. Feel free to give us a call. Seriously, we have live staff ready to assist you with any questions or concerns. It’s something we love to do, and we pride ourselves on our attention to each customer; it’s how we maintain our A+ Rating with the BBB. We understand you have specific requirements. If we haven’t answered all your questions here, give us a call or write us an email. We’re happy to help. Or, you can start the application now! We’ve built a platform that works for you. We’re continuing to add new features daily, and expanding to meet the needs and requests of our customers. Signing up is fast, easy, and secure. Our Application process can be completed in just a few minutes, and you’ll hear back from us within 24-48 hours, sometimes sooner!